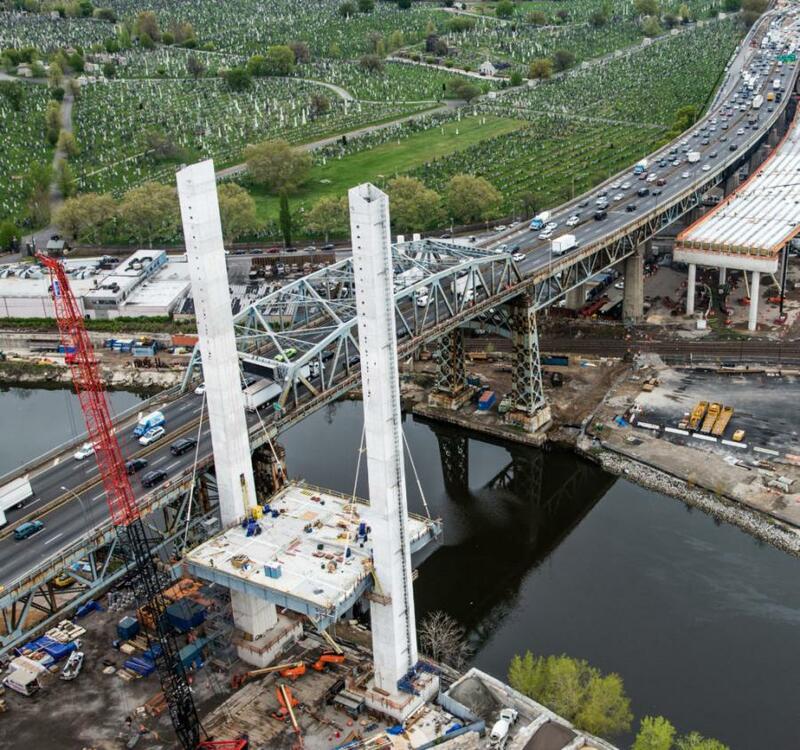 STV, a transportation engineering and construction management firm, has been contracted by the NYSDOT to perform construction quality assurance services as part of the $554 million design-build replacement of the 1.1-mi., 76-year-old high-level truss Kosciuszko Bridge. The Construction Management Association of America's (CMAA) New York/New Jersey Metro chapter has recognized STV's role supporting the New York State Department of Transportation (NYSDOT) in the construction of Phase 1 of the Kosciuszko Bridge between Brooklyn and Queens, N.Y., with a prestigious Project Achievement Award in the Transportation category. STV, a transportation engineering and construction management firm, has been contracted by the NYSDOT to perform construction quality assurance services as part of the $554 million design-build replacement of the 1.1-mi., 76-year-old high-level truss bridge. For Phase 1, a new cable-stayed, long-span structure that carries six lanes of traffic was erected. The structure opened in April 2017. A Phase 2 bridge will be procured separately. In the final alignment, the two bridges will carry five eastbound and four westbound lanes, as well as a bike lane and a pedestrian walkway. It is the first cable-stayed bridge built in New York City. Managing the construction quality assurance activities of this challenging project was a joint effort between NYSDOT personnel and the STV quality assurance team. NYSDOT provided final decisions on matters of cost and schedule while STV directed the day-to-day activities, including daily reviews of the design-build team's construction plans and procedures, verification inspection of construction operations, and the testing and verification of materials. As part of its contract, the STV team provided quality assurance tasks in the role of owner's representative. The firm prepared and followed a construction quality assurance plan that outlined the policy, procedures and responsibilities of the construction quality assurance engineer and staff to make sure that the design-build contractor met the contract requirements. One of the hallmarks of STV's role in this project was its unique implementation of statistical validation. Used for the first time on an NYSDOT project, statistical validation is a new Federal Highway Administration protocol for funding major design-build projects on the National Highway System. STV was the first known firm to perform the testing and statistical verification of design-build quality control data using an off-the-shelf Excel-based application, QIMacros, which is commonly used for quality assurance in manufacturing. Previously, other firms that performed statistical validation to meet federal guidelines used proprietary systems, including all facets of document control and construction administration, requiring substantial resources to implement. STV's use of an inexpensive and readily available program was a successful, cost-saving solution to the validation task. NYSDOT and STV were honored for their performance at CMAA New York/New Jersey's annual banquet in June. For more information, visit stvinc.com.